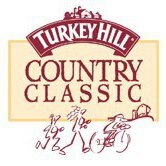 If you are looking for a great community event that incorporates all of the above then the CenturyLink Turkey Trot at the Carlisle Family YMCA is the Thanksgiving morning event for you. We are excited to announce that this is our 15th Annual Race, and will be the best one yet. Our race course will once again be USA Track & Field Certified. This means that our course is accurately measured, and can be used to break national open road racing records. Full race can be found here.